A talented cast can't game its way through a screenplay written for dummies. Lumpy lowbrow humor and characters as thin as a Monopoly board mar Game Night, a comedy with an irresistible premise, but that only. Middle-aged suburbanites gather for their weekly game night when two masked men burst through the front door and violently drag the organizer (Kyle Chandler) into the darkness. The remaining players believe this is the fun opening act for a pretend abduction mystery, even though what's happening is actually real. Co-directors John Francis Daley and Jonathan Goldstein, makers of 2015's dreadful Vacation reboot and the cartoonish Horrible Bosses movies, love irreverent jokes; too bad they lack any sense of pacing or brio. 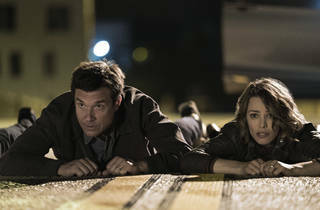 Game Night is stocked with good actors but the casting itself lacks any surprise. Jason Bateman, so strong right now on Netflix's Ozark, plays another neurotic man-child; Rachel McAdams, as his wife, is a fine dramatic performer with the comic timing of a lead door. As a pathetic divorcee, Jesse Plemons echoes his loser role from a recent Black Mirror episode; Billy Magnussen likewise recycles his meathead bro from last year's Ingrid Goes West. Switch the parts of those two actors, just for starters, and you instantly get an edgier movie. What's most frustrating about Game Night is how dependent the plot is on the stupidity of the characters. Laughing at people for being dumb is an obnoxious impulse, and you'll feel sorry for actress Kylie Bunbury, who has to pretend to mistake a random black guy for Denzel Washington. The movie’s only vaguely human presence is Sharon Horgan (the gifted writer and star of TV’s Catastrophe), who gazes upon the manufactured gags with an air of chagrin. 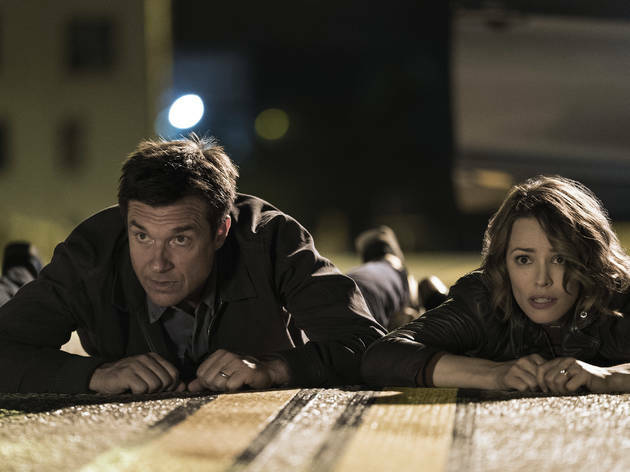 If the movie had risen even an inch to her level, Game Night might've had some game.